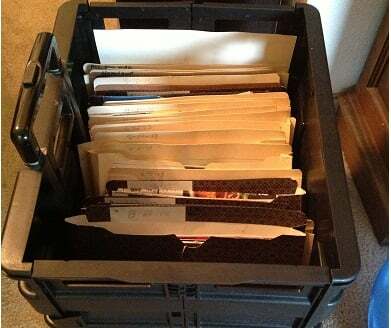 Coupon Insert Storage Crates ONLY $3.47 at Walmart! As Melissa & I teach in our coupon classes, you don’t need to spend hours cutting out every single coupon found in your Sunday inserts. We teach to only cut out those coupons you KNOW you’ll use and store the rest. Couponers always ask “so what do you use to store your inserts in?” There are several things you can use but our favorite are the crates that we always see during the back to school sales. They’re just the right size to hold file folders containing your inserts. 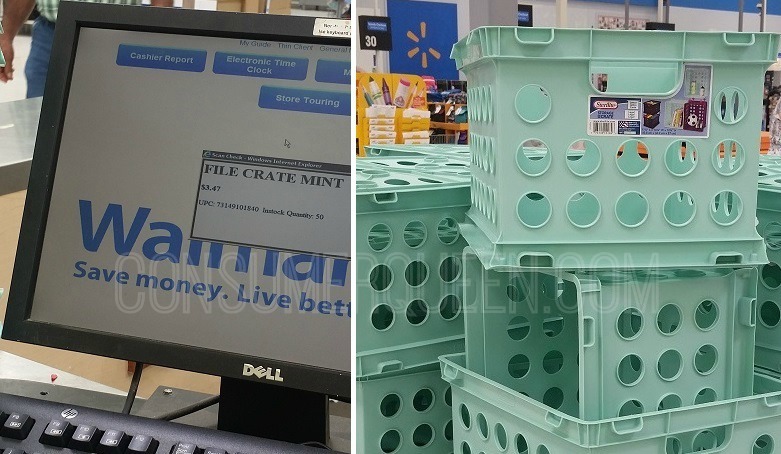 The crates are priced $3.47 at our Walmart. After purchasing your crate, all you need are file folders to put your coupon inserts in. You should be able to find those on sale right now too. Above is my coupon storage crate. You can use open ended files or ones like you see in mine. Use a pencil to write that Sunday’s date at the top of the file. Put the file at the front of the box, crate or whatever you use (most deals will come from the latest inserts). Then when you check your store’s weekly matchups or single deals that we post, you can go quickly to the insert you need and cut out the coupon. Keep your coupon folders for at least six months as some coupons don’t expire for awhile. Once the 6 month is over – toss your inserts, erase the date from the folder and use it again.